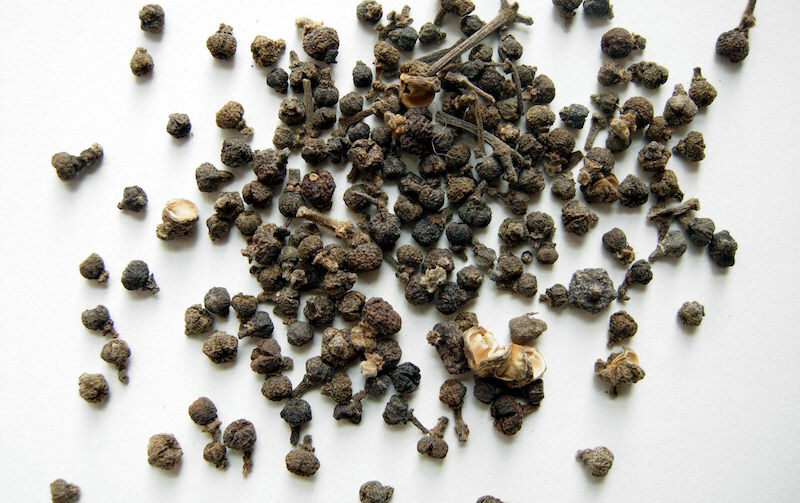 Evodiamine is the predominant component of Evodia rutaecarpa Benth, a traditional Chinese medicinal plant. The fruit of evodia rutaecarpa is regarded as a ‘hot nature’ herb in Chinese literature. Evodiamine has gained prominence for its weight loss and anti-inflammatory effects, as well as its treatment of generalized abdominal complaints. In mice studies, evodiamine was able to stimulate the fat breakdown, increase heat dissipation, and encourage energy consumption. Evodiamine can also reduce kidney and liver fat depositions, which results in decreased levels of free fatty acids, triglycerides, and cholesterol in the human body. Taken together, these effects help prevent fat deposition around important organs and regulate weight gain. Some studies have reported that evodiamine possesses anti-obesity effects, similar to those found in chili peppers. Lipid metabolic disorders like obesity, which may be the result of overeating, cause an increase in the components used to synthesize fat and a decrease in brown fat content. This unfavorable combination to a decrease in energy consumption and deregulation of the hormones that decrease lipid levels, ultimately promoting fat synthesis while reducing fat breakdown. The adipocyte (fat cell) plays a critical role in energy balance. Adipose tissue growth is the result of both an increase in adipocyte size as well as the formation of new adipocytes from precursor cells. This growth associated with by a significant increase in expressions of the following adipocyte genes: peroxisome proliferator-activated receptor-γ (PPAγ), fatty acid synthase (FAS), sterol-regulatory element binding protein (SREBP), hormone-sensitive lipase (HSL), and triglyceride hydrolase (TGH) genes. HSL and TGH are the major intracellular enzymes in adipose tissues responsible for catalyzing the breakdown of triglycerides to produce free fatty acids, which provides an energy source. The amount of HSL and TGH in liver and adipose tissues increased dramatically for an extended period following supplementation with evodiamine. This finding suggests that TGH and HSL might be the direct targets of evodiamine and that its impact on fat metabolism may include increased expression of lipase. Evodiamine was found to significantly decrease the core body temperature of mice in association with the increases in TGH and HSL expressions in both liver and adipose tissues. However, increases in fatty acid synthesis and sterol-regulatory element binding protein -1c expressions were only seen in the liver. Ultimately, this data suggested that evodiamine regulates body fat deposition by reducing body temperature via increased energy consumption and simultaneous fat breakdown. One study conducted in mice demonstrated that evodiamine functions as a vanilloid receptor agonist that mimics the anti-obese effects induced by capsaicin – the active component in chili peppers that induces a burning sensation on ingestion. Interestingly enough, even though evodiamine operates on the same target it does not have a spicy taste associated with it. Evodiamine simultaneously induces heat loss and production while dissipating food energy. In doing so, it is able to prevent the accumulation of perivisceral fat and weight gain. Some studies have reported that capsaicin and evodiamine have anti-obesity effects. Evodiamine has been shown to inhibit adipogenesis (fat synthesis) through stimulation of a specific signaling pathway (ERK/MAPK) responsible for decreasing the expression of adipocyte synthesis factors and insulin-induced signaling. MAPK activity is imperative to the initiation of preadipocytes undergoing entry into the process by which they will mature into adipocytes. Following transient activation of ERK, its activity is decreased in order to enable this process to continue, because the sustained activation of the ERK signaling pathway inhibits adipocyte maturation and development. Evodiamine exhibited a strong inhibitory effect for adipogenesis of the cells via sustained activation of the ERK/MAPK signaling pathway. In mice models of diet-induced obesity, evodiamine showed an anti-obesity effect. This suggests that there is a potential new approach to work around the development of diet-induced obesity. This is particularly the case for those lacking uncoupling protein-1 (UCP1) thermogenesis – the pathway that produces heat while burning fat. While further research is needed to elucidate the precise underlying mechanisms that explain evodiamine’s potential to reduce fat uptake and breakdown fat, existing data shows much promise as a dietary supplement. Given this natural compound’s anti-obesity effects and historic medical validation, we can expect evodiamine to make a great impact going forward. J Shi et al. Intragastric administration of evodiamine suppresses NPY and AgRP gene expression in the hypothalamus and decreases food intake in rats Brain Research 1247 (2009) 71 – 78. Wang, T., Wang, Y., Kontani, Y., Kobayashi, Y., Sato, Y., Mori, N., Yamashita, H., 2008. Evodiamine improves diet-induced obesity in a UCP1-independent manner: involvement of anti-adipogenic mechanism and ERK/MAPK signaling. Endocrinology 149, 358–366.